FDR and Eleanor. Mick and Keith. Jobs and Woz. Siskel and Ebert. Sandberg and Zuckerberg. History is filled with many examples of the successful introvert-extrovert relationship. Opposites like these can make brilliant products and great works of art and can even change history. But great introvert-extrovert partnerships don’t just happen. They demand wise nurturing. Without it, they can implode. I am an extrovert and I am married to an introvert. 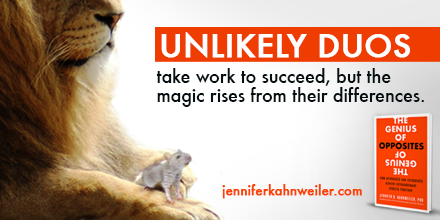 Opposites can make brilliant partnerships but it takes hard work. I have finally come across a book that helps with this dynamic partnership, whether it be in the workplace or at home. The book is called The Genius of Opposites by Jennifer B. Kahnweiler. The book offers a five-step process that enables introverts and extroverts to work together harmoniously and achieve more than they ever could on their own. This first-of-its-kind practical guide helps introverts and extroverts understand and appreciate each other’s wiring, use their inevitable conflicts to spur creativity, find the right roles within the partnership, act like respectful friends, and mine their diversity to give clients the widest range of options. Blending their two points of view allows both partners to see and act on things neither would have separately. Partners can even enrich their skills by learning from their opposites. Kahnweiler shows you how to perform the delicate balancing act required to create a whole that is exponentially greater than the sum of its parts. It is definitely worth a read! 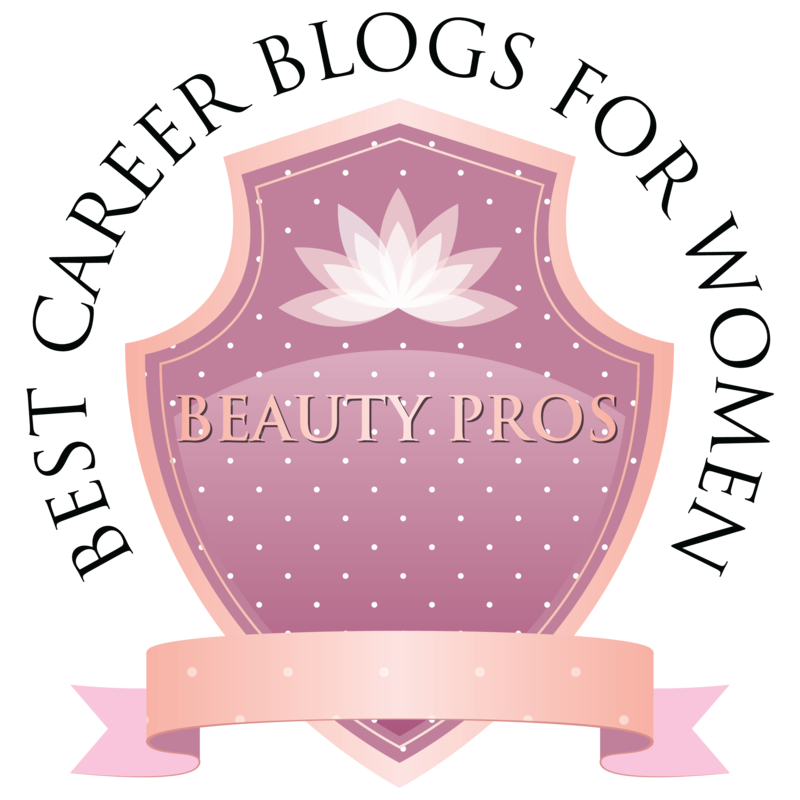 I am excited to have the following guest post from Jennifer Kahnweiler. 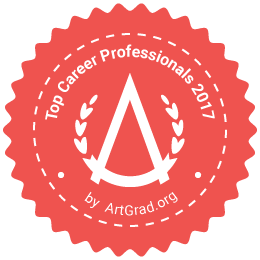 This is taken from an article I wrote for M World, a publication of The American Management Association. Introverts think first and talk later. So in meetings, conversations, and even casual chats, slow down, pause, and give them time to reflect and respond. If you are an extrovert, you’re probably tempted to fill in the silences. Resist that urge, and introverts will freely express themselves. You can even try putting a space between your questions—counting “1…2…3” to slow yourself down. Avoid barraging them with fast-paced questions, which can make them feel like they’re being cross-examined on the witness stand. Offer the gift of solitude. Introverts want and need to spend time alone. They frequently suffer from people exhaustion, so allow them to retreat to recharge their batteries. If you see a female coworker hanging out by herself at lunch, for instance, don’t assume she wants to chat. She may need that time to recover from all the stimuli of the day. As the Kelly Clarkson song goes, “Doesn’t mean I’m lonely when I’m alone.” Instead of stopping by her office throughout the workday, bundle your nonpriority items and schedule a single conversation. Try expressing your thoughts in writing to give her time to digest information. Introverts let their fingers do the talking. 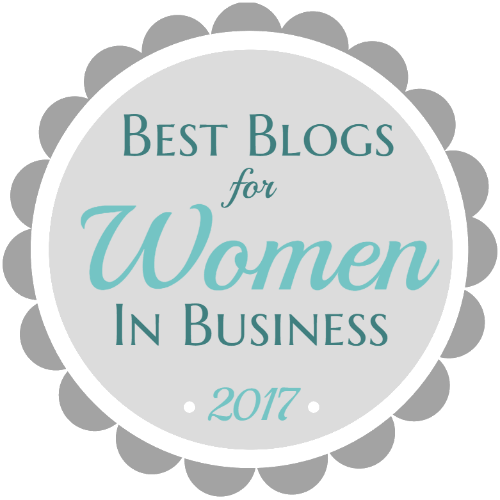 They prefer writing to conversation, and gravitate to email and social networking over the telephone and face-to-face meetings. Build on this preference, and whenever possible, communicate with her in writing. Take the time to read her emails and respond thoughtfully. Play to the introverted woman’s preference for preparation by sharing in advance the agenda and relevant materials needed for meetings and conference calls. 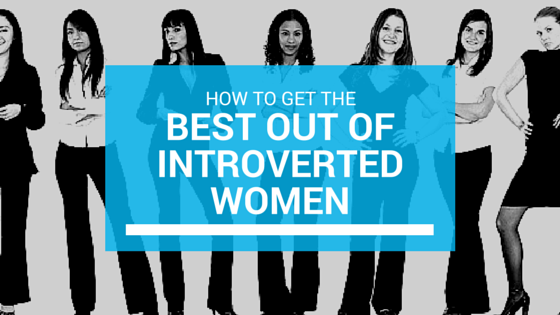 Let your introverted colleague know what areas you would like her input on in a meeting. During the meeting, encourage her comments by directing questions to her such as “What are your thoughts on that action, Sheri?” You also need to do your own preparation to understand how she can best contribute. Introverts are private at first, and they self-disclose in one-on-one dialogues. Start building a work relationship with an introverted woman by asking about her work and her outside interests. Once you start to self-disclose and ask her good, open-ended questions (“So what has been keeping you busy lately?”), she will open up. Chances are, you’ll find things in common. By honoring and adapting to the preferences of the introverted women in your organization, you will gain their respect, help them to build on their natural strengths, and develop your own repertoire of effective behaviors, ultimately benefiting the organization. Originally published 3/30/2015 on JenniferKahnweiler.org. 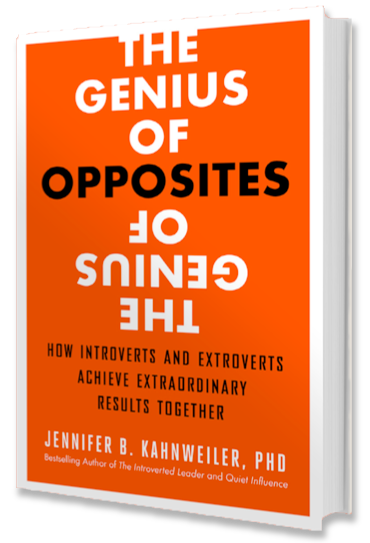 To learn more about The Genius of Opposites: How Introverts and Extroverts Achieve Extraordinary Results Together see the video below and order your copy today on Amazon. Jennifer B. Kahnweiler, Ph.D., Certified Speaking Professional, is a bestselling author and global keynote speaker known as the “champion for introverts.” In addition to her latest book, The Genius of Opposites, she has written two bestselling books about introverts (Quiet Influence and The Introverted Leader), which have been translated into 14 languages. Thank you posting this Chantal and highlighting the needs of introverted women. I think that women who are introverted can really step into their power when they realize what it is. We all need to reach out to women in our midst who may not be speaking up when they have so much to say! I enjoyed this post! I am definitely a think first, talk later kinda person – glad to know I’m not alone!